Finding someone to take the mantle of Buck Russell where John Candy perfected it couldn’t have been easy, but the powers that be from Universal TV and Will Packer Prods. 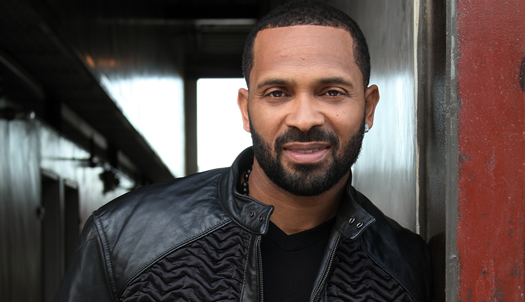 found the right candidate in Mike Epps, you know – Black Doug from ‘The Hangover‘ movies! Besides that, he was on ‘Next Friday‘ and ‘Friday After Next‘ and most recently, Starz’s ‘Survivor’s Remorse‘. Having been cast in the series, as well, is Nia Long as Buck’s brother Will’s head-strong and intelligent wife. Long has had fans begging for more since she had a four year stint on ‘Fresh Prince of Bel-Air‘, she gave fans what they wanted with hits including ‘Big Momma’s House‘ and it’s sequel. Long is one of the co-stars on WEtv’s ‘The Divide‘ most recently. The adaptation is being written by Steven Cragg and Brian Bradley with the duo and Packer executive producing the pilot and Korin Huggins co-executive producing. ‘Uncle Buck’ Next In Line For Small Screen Consideration!!! This entry was posted on Tuesday, March 3rd, 2015 at 10:12 pm	and is filed under News, Television. You can follow any responses to this entry through the RSS 2.0 feed. You can skip to the end and leave a response. Pinging is currently not allowed. « ‘Salem’ Season 2 Trailer Showcases Lucy Lawless and Stuart Townsend Among The Damned!! !